ColorNavigator Network provides centralized quality control (QC) of ColorEdge monitors with ColorNavigator NX installed. This QC solution is ideal for post production studios, printing houses, and other enterprises looking to centralize the quality control of their monitors and reduce maintenance costs. With ColorNavigator Network, an administrator can set the color modes, schedule self-calibration, activate key lock to prevent unintended changes to color settings (CG series), register or adjust asset management settings, and import/export monitor settings. For many studios in printing, design, and post production, maintaining a properly adjusted monitor has been a time-consuming process. Each monitor needed to be aged, calibrated, and validated manually. 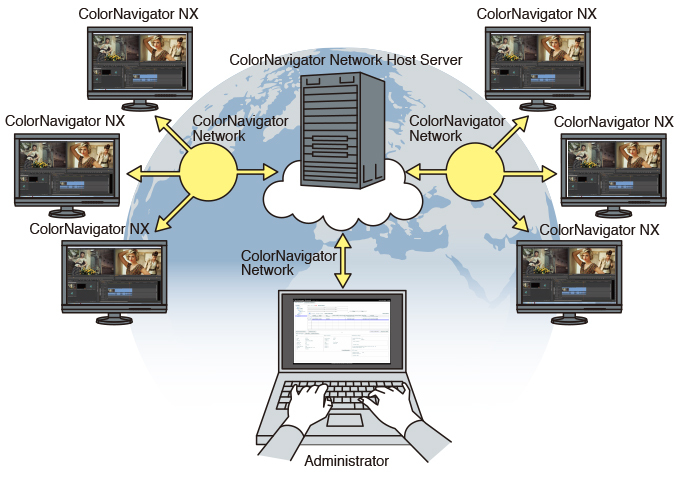 With ColorNavigator NX installed on individual workstations, an administrator can use ColorNavigator Network to automate color management of monitors. Unify color display on all ColorEdge monitors within your organization, even those that are located in other cities or countries. 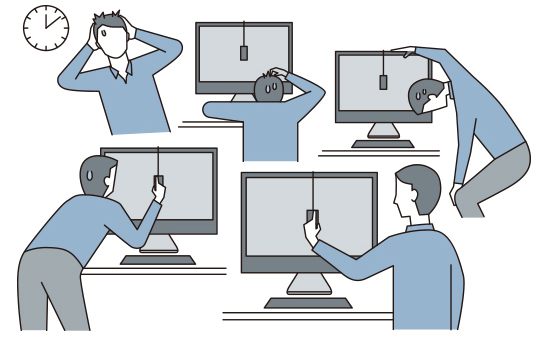 Using ColorNavigator Network with ColorNavigator NX software and ColorEdge monitors in even a modest installation of 25 monitors will save hundreds or of hours in annual maintenance costs. 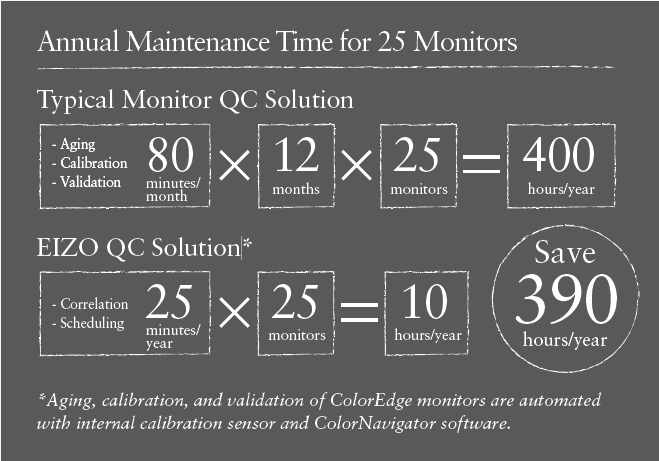 Use our Time Savings Calculator to find out how much you can reduce maintenance with ColorEdge Monitors and ColorNavigator software. 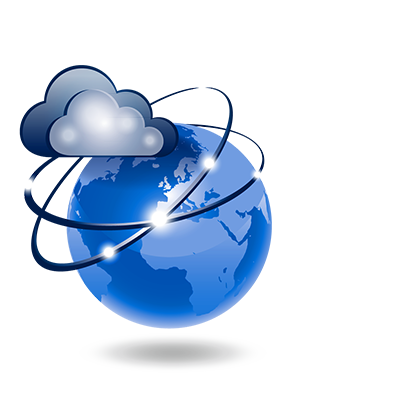 Contact the EIZO group company or sales distributor in your country for information about availability of ColorNavigator Network.